No matter what the weather is like outside, I always find soup super comforting. 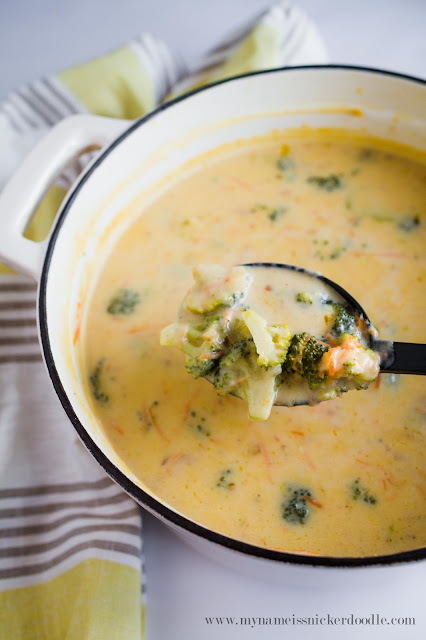 I especially love soups with lots of color! And isn’t it supposed to be healthy to “eat the rainbow”? 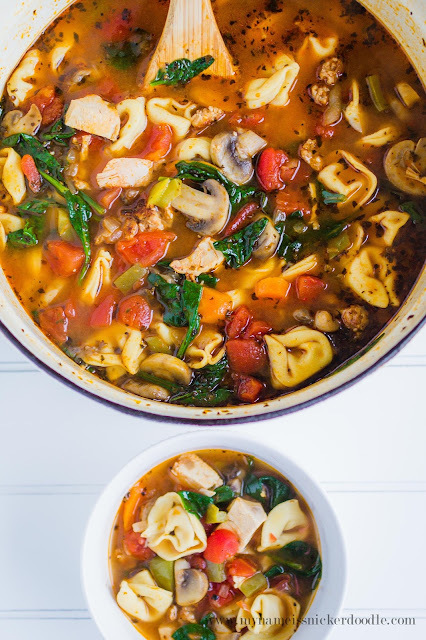 What I love about this delicious Tortellini Soup is that you really could add in any vegetables you like! Or even adapt it to the season and in seasonal veggies. 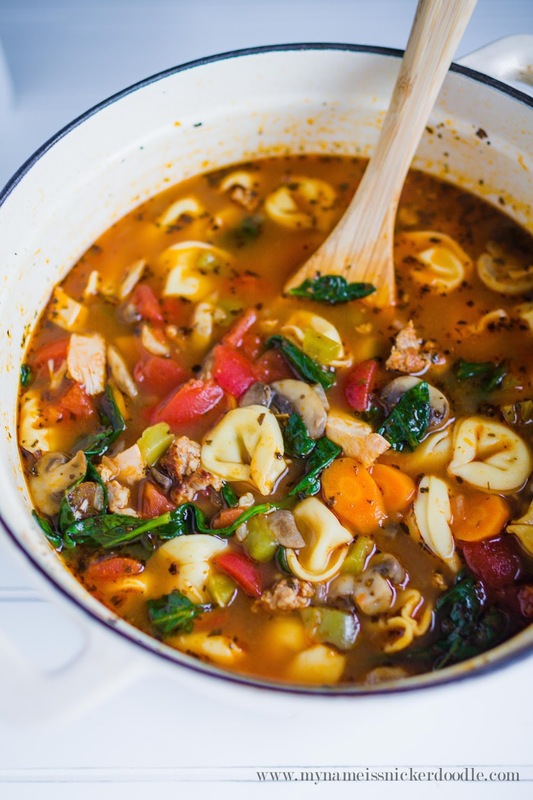 This soup is pretty hearty because it has both Italian sausage and chicken in it. In a large heavy bottomed pot, brown sausage and chicken together over medium high heat until cooked. Remove to a paper towel lined plate and reserve oil. Place 1 TBSP of reserved oil back into the pan and saute bell pepper, carrots, celery and onion together until just tender. About 4 minutes. Add in mushrooms and sauce another minute. 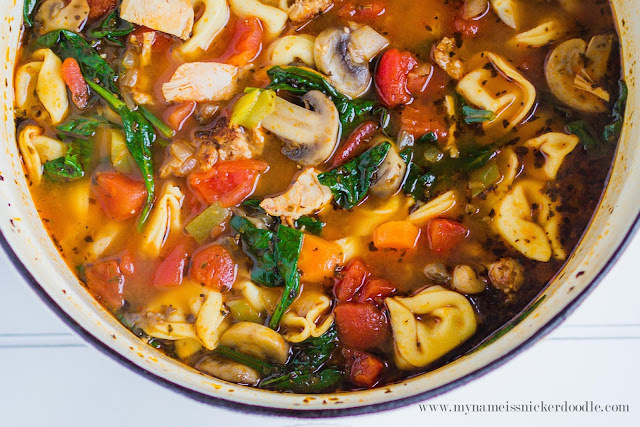 Pour in crushed tomatoes, chicken broth and basil and bring to a boil. Reduce heat to medium low and simmer for 20 minutes uncovered. Stir in sausage, chicken and tortellini and cook according to package directions for tortellini. Add in spinach and stir until wilted. About 1 minute. Season with salt and pepper and serve with grated parmesan cheese. Whenever I make soups like this, I always think it would be a perfect meal to bring to someone who needed it. 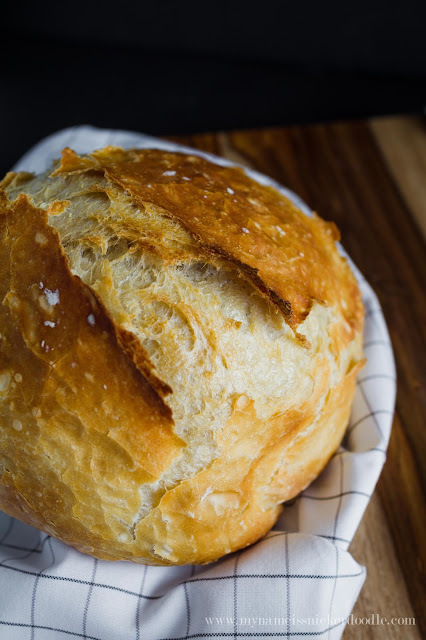 Make some of my favorite bread and bake some chocolate chip cookies and you have a great meal that anyone would love! And um, yum! 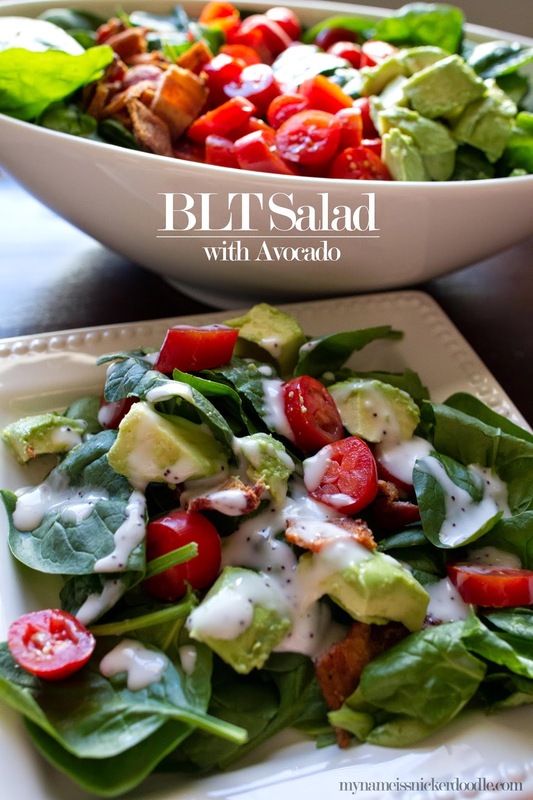 These recipes would pair really well with Amy’s BLT Salad. Check out more mouth watering recipes from My Name Is Snickerdoodle! oh yummy! This looks delish! Agree, Shawnna! Can’t wait to make it ourselves, mm! 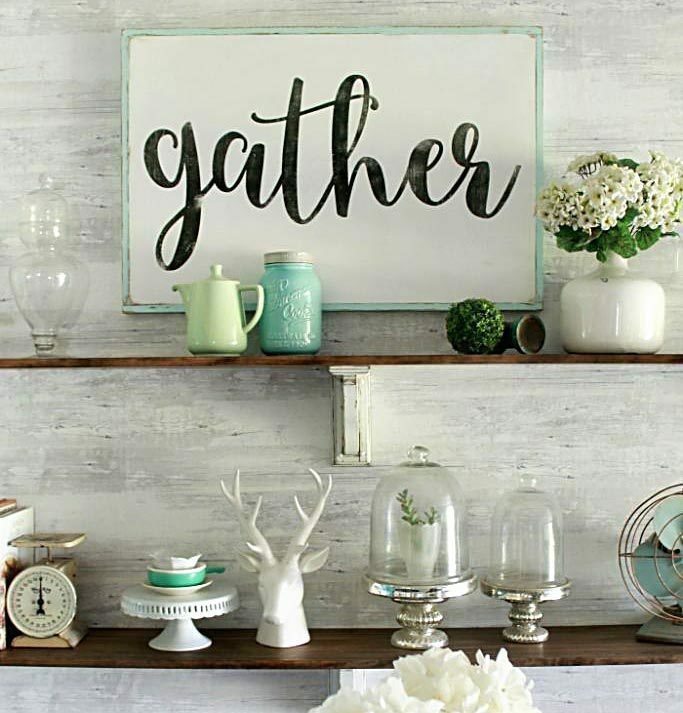 Great recipe for a cool day! YUM!! !